Most people associate Halloween with the United States, but did you know that it actually began as a Celtic holiday and is still celebrated throughout the world? According to the National Endowment for the Humanities, the day was originally called Samhain, or "Summer's End," and marked the end of the harvest season for Celtic farmers. October 31st was considered a day when the normally strict boundaries between the worlds of the living and the dead were blurred, and the ghosts of those who had passed away came back to earth. The traditions of costumes, parades, and playing scary pranks and tricks are rooted in ancient practices as well. By wearing masks and costumes, people would try to fool the spirits into believing they were also ghosts, so the spirits would leave them alone on Halloween night. But celebrations of the dead aren't limited to the ancient Celts and modern Americans. According to Education Magazine, countries all over the world hold their own similar festivals to honor the dead. Mexico: Perhaps the most famous outside of the American holiday, Mexicans celebrate Dia de los Muertos, or Day of the Dead, on November 1st and 2nd. It's a time for family and friends to remember departed loved ones. Day of the Dead bread, or "Pan de Muerto," is a quintessential dish made during Dia de los Muertos. Learn to make you own here. Great Britain: The British celebrate by partying in costumes from October 31st to November 5th, Guy Fawkes Night. On this night, the Brits commemorate the infamous British traitor Guy Fawkes by lighting bonfires. Ireland: Honoring its Celtic heritage, Halloween is still celebrated today in Ireland. Barmbrack, a sweet fruit bread, is traditionally served on Halloween night. Check out a great recipe here. China: The Chinese festival of Teng Chieh is a Lantern Festival that closes off Chinese New Year celebrations. Lanterns formed like dragons, swans, and other animals are hung in the streets or near households, protecting people from evil and lighting the way for wandering spirits. Check out this easy craft so your little one can make his or her own lantern for Halloween. Japan: In Japan, the Obon Festival is celebrated in the summer to honor the spirits of the dead. During the festival, is lit each night to guide a spirit to its family’s location so that the dead can return to where they were born. Halloween is a great time to introduce your child to some of the other cultural festivities celebrated by children around the world. Introduce some of these global traditions to your kids, and check out our Halloween board on Pinterest for fun crafts, recipes and cultural activities you can share with your little ones this Halloween. Looking for some inspiration for your family's Halloween costumes this year? Pull out the globe and give it a spin. With a little inspiration from our great DIY globally-inspired options below, and a few accessories, your kids’ costumes will be United Nations worthy in no time. 1. 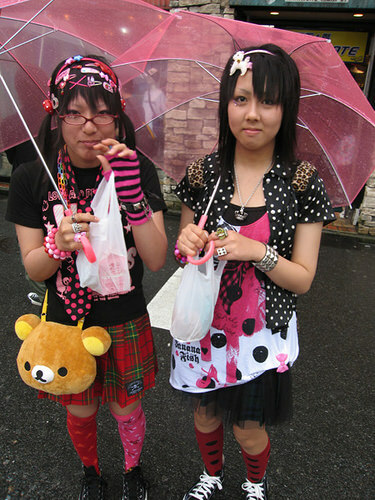 Harajuku Girls, Japan -- Here’ an opportunity to open up the costume chest and go wild. Fun-loving Harajuku girls are known for their creative style of dress and love of all things kitsch --- to channel their irrepressible style into a unique Halloween costume, think layers: Start with striped knee socks, layered crinoline skirts, and a Hello Kitty tee or the like. Then add HIGH pigtails tied with bows and layer on the plastic accessories. Add some glittery makeup and you’re ready to rock the trick-or-treat block. 2. 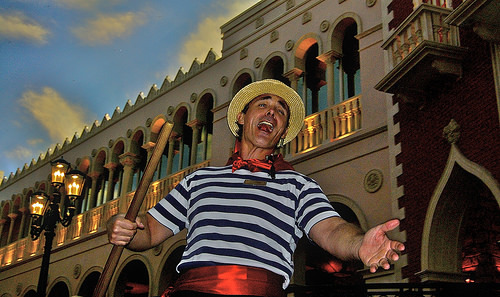 Gondolier, Italy – This is an easy and memorable costume. To start, your little gondolier will need a striped shirt and black pants, plus a round-rimmed hat (party stores often have inexpensive Styrofoam versions). Take a trip to the trim department of the craft store for thick red ribbon (about 6 inches across) for a waist sash and a thinner red ribbon to tie around the base of the hat. Then add a broom, small oar, or even a long dowel to stand in for an oar. Extra points for crooning “Amore”. 3. Frida Kahlo, Mexico – The beloved Mexican artist had a unique look that’s easy and fun to recreate. Pick up a felt mustache at the party store and stick between the eyebrows (conversely, use an eyebrow pencil to create a uni-brow). Tuck brightly colored silk, paper, or plastic flowers in a wreath around the hair. Add a fringed shawl around the shoulders and wear a peasant skirt and brightly colored shirt. Palette optional. 4. Ninja, Japan – A comfy, easy, and easily recognizable costume for boys or girls. Start with black pajamas, black sweats, karate gear, or a black fitted tee and soft pants. Take a plain black head scarf and wrap tightly around the head and covering the brows, and then another around the mouth and chin. At the craft store, purchase red masking tape and the use it to create a criss-cross pattern on lower legs and arms. Add a red sash, and you’re ready to stealthily sneak down the block. 5.French chef– Start with largest white chef hat you can find (party stores sell inexpensive paper ones you can personalize with glitter and markers to say FRANCE or the fine cuisine destination of your choice). A white chef’s coat would be perfect here, but you can improvise with a white karate top, or even long sleeve white tee and a large white apron. Tie a red kerchief tied around the neck, the use plastic measuring cups or spoons or plastic food to accessorize. Bon appetit! In a lot of Latin American countries, All Soul’s Day on November 2nd is a recognized religious holiday, but nowhere is it celebrated quite like Mexico. In Mexico, the day is known as Dia de los Muertos (the Day of the Dead). Some traditions – such as kids dressing up in traditionally skeleton motifs and eating an awful lot of candy – may be familiar to those who celebrate Halloween, but Dia de los Muertos is actually a rich mixture of Aztec and European tradition. The Aztec festival was a week-long celebration when the souls of the departed would return to the realm of the living, but with the arrival of the Spanish, the colonial rulers of Mexico tried to co-opt this festival into the celebration of the Catholic All Saints Day and All Souls Day. The festival of the dead in Japan is held in August rather than October, and is known as Obon. As with many such festivals, this day commemorates the return of the dead to the land of the living, but unlike Halloween, the returning spirits are not malevolent. On Obon, the spirits of the dead return to visit their loved ones, and many Japanese Buddhists prepare special food for the returning spirits, which they place in temples and in their homes. Obon is also known as the Festival of Lanterns, because the celebration ends with families sending paper lanterns down Japan’s rivers, to guide the spirits back to the realm of the dead until the next year. In China, the Hungry Ghost Festival also features use of lanterns but rather than a single day, the festival lasts an entire month, during which time the souls of the dead are free to roam the earth. Rather than guiding benevolent spirits back to the realm of the dead, the lanterns are used to ward off potentially malevolent spirits. Like in Japan, food and gifts are also offered to family members who have passed. Offerings are also made to other, unknown wondering spirits to placate them, and prevent them from coming into a household and brining bad luck. In certain countries in the Middle East, Arab Christians celebrate Eid il-Burbura (Festival of Saint Barbara) on December 4th. As with Halloween in the US, children dress up in costume and go from door to door. The holiday has its origins in the story of Saint Barbara, who took on many different disguises in order to evade the persecution. According to the story, Saint Barbara ran through a freshly planted wheat field while fleeing the Romans, which grew instantly to cover her path and help her escape. Today, seeds are planted ceremonially, and harvested in time for Christmas when they are used to decorate the nativity scene below Christmas trees. Qarqu’an is a traditional holiday that has existed for hundreds of years, and is celebrated annually in many Arabic countries such as Saudi Arabia, Kuwait, and Oman. During the month of Ramadan, children dress in traditional clothing and gather in front of homes to sing in order to receive candies, sweets, and nuts. Although similar to Halloween, the tradition is not connected to death, but is rather is intended to spread happiness and affection among adults and children. Here at Little Pim, we’ve been keeping a close watch on the recent disaster in Japan. Our hearts are with everyone who has been affected by the recent earthquakes and tsunami. The magnitude of the tragedy may be obvious to us as parents, but it’s difficult to know what to say to your children, and how to explain it. We don't want to scare them, but we do want them to understand how we are all part of one interconnected world. This weekend, my family went to a festival organized by Stand With Japan, a new association of New York moms who set out to raise money for Save the Children's Japan fund. We took Emmett (six) and Adrian (three), to this family event that included a Japanese bake sale, origami making, and a koto recital (a beautiful Japanese string instrument that you can check out on YouTube). Emmett had heard about the tsunami at school, and had also seen the wonderful movie Ponyo, about a boy and a half-fish half-girl who weather a tsunami in a small Japanese town. We had talked about the Japanese disaster a bit (one of his classmates is half Japanese and has family there), but I felt I hadn't done enough to help him understand how we could help our Japanese friends from right here in New York. 1. There are many Japanese people in our community – people directly connected to the same Japan that Emmett was told about in school. 2. Japan, and Japanese people, have a rich tradition they hadn’t seen before, from the costumes, to the food, tea rituals and music. 3. Most importantly, my kids were able to see how we can help people in the rest of the world though local efforts. Although my boys aren’t quite ready for the delectable sushi that was on offer, through the sweet goodness of Sticky Buns and Red Bean cakes, they were transported for an hour or two into another culture, something I hope they will grow a taste for. 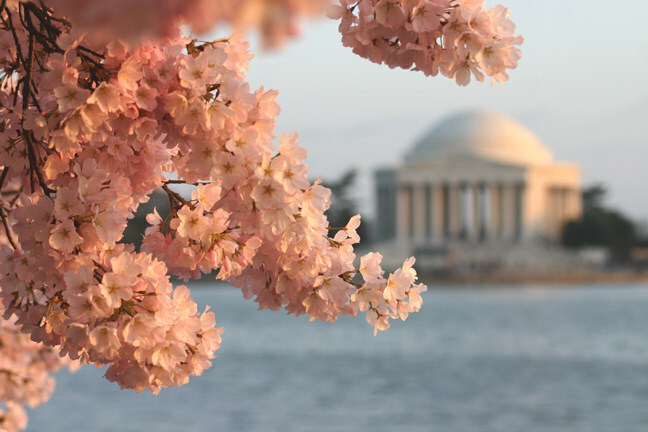 Q: Are there any local efforts for Japan that you can get involved in, or take your kids to? Have you gone to any already? This weekend I took my son Emmett (now six) to see a wonderful Japanese animated film called “Light of the River” at the BAM Kids Film Festival in Brooklyn, NY. We loved this charming film about a family of displaced river rats who use their smarts and family bonds to escape many perils while trying to get back to their beloved river home. The BAM Kids Festival is in its 13th year and introduces kids to 66 films from 23 countries -- a terrific way for young ones to “travel” and learn about other cultures. Before the movie started, the festival organizer asked the kids to think about 1) what they liked about the movie, 2) what they didn’t like about the movie and 3) why. This film was for 4-7 year olds and the organizer pointed out to parents that these three questions provide the seeds of “critical thinking”. Taking young children to well-made films like this – and then engaging them in talking about what they saw – is an excellent way to get children engaged in analytical thinking at a young age, and build up media literacy skills. Plus, in watching “Light of the River” Emmett got to see Japan (in animated form) and hear Japanese for 75 minutes (a talented actress read the subtitles out loud right in the theater). He loved the movie and we are still talking about it two days later! You can watch a trailer for “Light of the River” below. 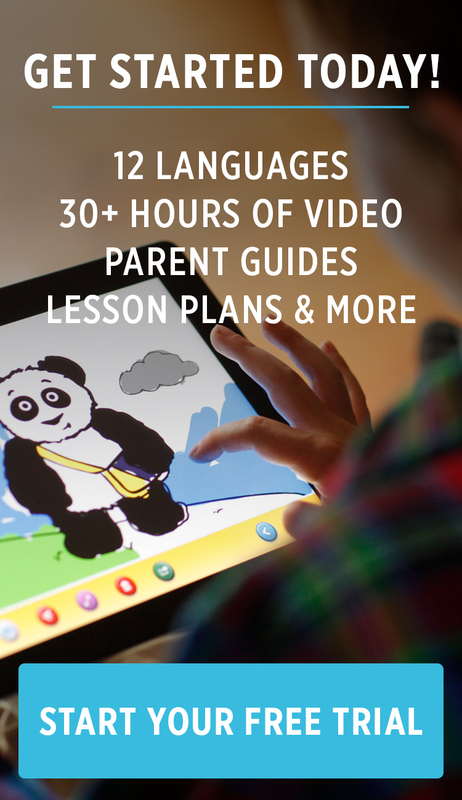 Sorry, there are no subtitles here, but after a few sessions with Little Pim Japanese your kids should be able to help you out!